On a sunny spring day, yes there is still such a thing! Eltham Lodge welcomed our first brides to be and their family and friends through the doors. Guests were impressed to be met with a glass of fizz and a tray of canapés, not the usual wedding fair treatment we were told. A vibrant variety of 26 trusted and local suppliers ranging from magicians to pop up cakes, classical singers & and beautiful feather fascinator makers met and impressed our guests. All of the suppliers were lovely and we have added them to our Little Black Book. Here are a few photos from the day. An album and a full list of exhibitors can be seen on our facebook page. 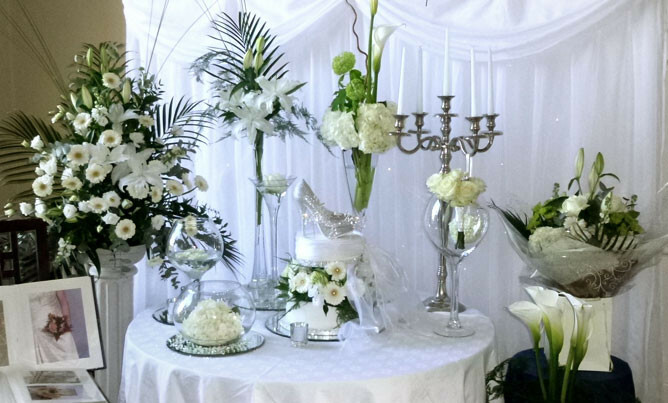 Our next Wedding Fair will be on Thursday 22nd August, from 6pm – 9pm. We hope to see you there.